Johnny Drille released “Shine” earlier this year, along with “Forever” and an announcement celebrating his milestone achievement of 10 Million streams across all his streaming platforms. The Mavin singer just shared the music video for “Shine”, offering a buoyant manifestation of his “Life is beautiful” good tidings through the 4-minute long clip Clarence Peters directs. The music video seems to highlight the soothing effect Johnny Drille’s impassioned singing has on fans of his folk style music as we watch a woman shimmying across the busy streets of Lagos with her headphones on. 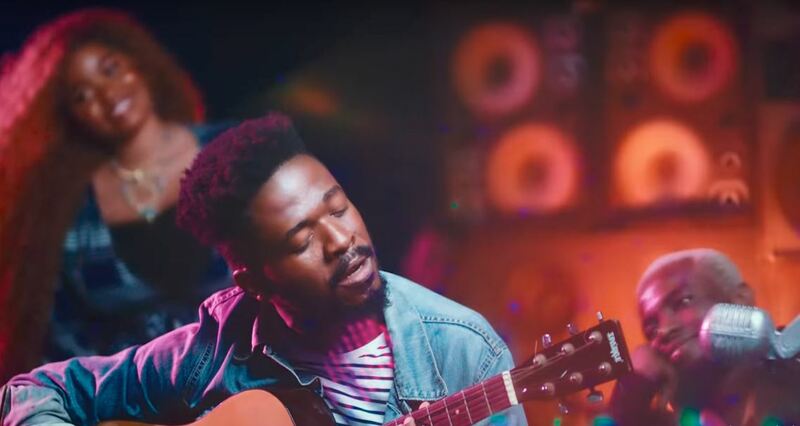 Other listeners are also seen having a pleasant time, going about their daily lives while Johnny Drille is seen performing the song, seemingly inspired by the calming ambiance of the beach. The video ends with the fans meeting him to perform the song together on a stage while a clip from his ‘Johnny’s Room’ concert which held last year is also included to make for a compelling video, appreciating his fans support. You can watch the music video for “Shine” below.